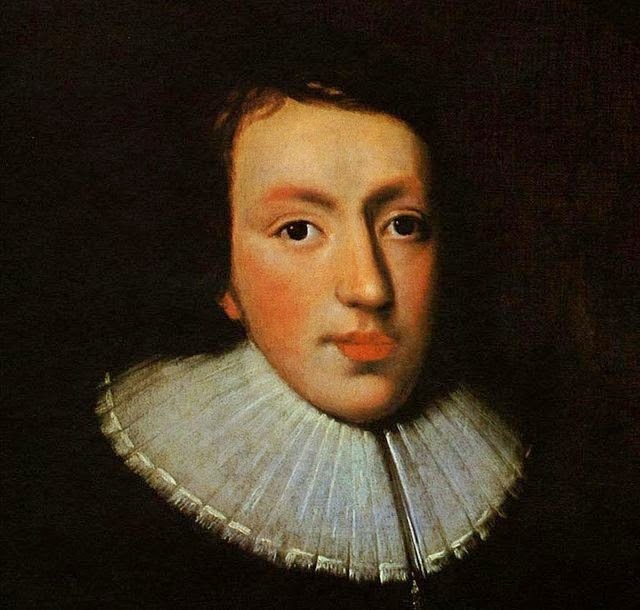 John Milton. (1608–1674), Samson Agonistes. But by the barber’s razor best subdued. Thine, or whom I with Israel’s sons adore. A murtherer, a revolter, and a robber! Sams. Tongue-doughty giant, how dost thou prove me these? Then, like a robber, stripp’dst them of their robes? That solved the riddle which I had proposed. My nation was subjected to your lords! Is well ejected when the conquered can. Single rebellion, and did hostile acts! The unworthier they; whence to this day they serve. Had not disabled me, not all your force. To descant on my strength, and give thy verdict? To the hazard of thy brains and shattered sides. And that he durst not plain enough appeared. The worst that he can give to me the best. The righteous, and all such as honour truth! Lose their defence, distracted and amazed. Off. Ebrews, the prisoner Samson here I seek. Chor. His manacles remark him; there he sits. To honour this great feast, and great assembly. Off. This answer, be assured, will not content them. Return the way thou cam’st; I will not come. Off. Regard thyself; this will offend them highly. Sams. Myself! my conscience, and internal peace. Sams. So take it with what speed thy message needs. Sams. Perhaps thou shalt have cause to sorrow indeed. Up to the highth, whether to hold or break. More lordly thundering than thou well wilt bear. Be efficacious in thee now at need! As in thy wondrous actions hath been seen. With thee. Say, reverend sire; we thirst to hear. To accept of ransom for my son, their prisoner. If some convenient ranson were proposed. What noise or shout was that? It tore the sky. Made older than thy age through eye-sight lost. That of a nation armed the strength contained. In both which we, as next, participate. Man. I know your friendly minds, and .. O, what noise! Mercy of Heaven! what hideous noise was that? Man. Of ruin indeed methought I heard the noise. Oh! it continues; they have slain my son. Man. Some dismal accident it needs must be. We unawares, run into danger’s mouth. And over heaps of slaughtered walk his way? For dire imagination still, pursues me. So in the sad event too much concerned. With rueful cry; yet what it was we hear not. No preface needs; thou seest we long to know. Man. Tell us the sum; the circumstance defer. Mess. Feed on that first; there may in grief be surfeit. Man. Suspense in news is torture; speak them out. Mess. Then take the worst in brief: Samson is dead. Nipt with the lagging rear of winter’s frost! How died he; death to life is crown or shame. All by him fell, thou say’st; by whom fell he? What glorious hand gave Samson his death’s wound? Man. Wearied with slaughter, then, or how? explain. Man. O lastly over-strong against thyself! Proof of his mighty strength in feats and games. Chor. O dearly bought revenge, yet glorious! To call in haste for their destroyer.